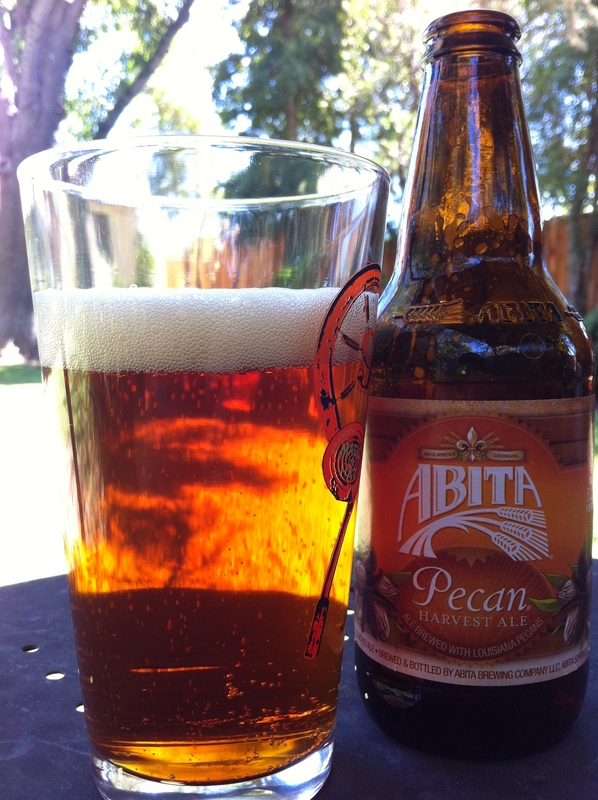 Abita Pecan® Harvest Ale is brewed with pale, Munich, biscuit and caramel malts and Willamette hops. 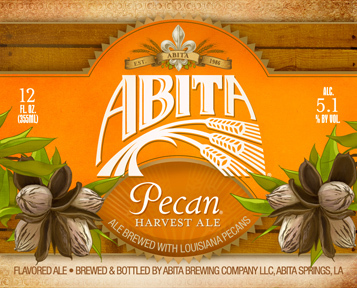 Real Louisiana roasted pecans are added in the brewhouse and give the ale a subtle nutty flavor and aroma. Crack one open for yourself. Right from the get go I knew something was amiss. This American Brown Ale poured a burnt orange color that was very transparent. Not brown. Not at all. The head was an inch of off-white that faded down within a minute or tow. Lots of carbonation was present and noticeable due to the fact that the beer wasn’t very brown. I didn’t get much aroma from the nose, but what I did get was a nutty/pecan scent, some sweet brown sugar, and a cereal-like maltiness. The taste begins with a mild bread flavor that is the most noticeable flavor. When a flavor that is described as “mild” is your dominant flavor, then you know you may be in trouble. An herbal/grassy spice was also present and somewhat surprising. Nuttiness shows up near the backend, but it’s very faint. If I didn’t know this was a pecan beer I never would have guessed it. Mouthfeel is light with noticeable carbonation present. Slight drying appears when it’s all said and done. This is a bland beer. It doesn’t feel at all like a brown ale and the pecans are practically nonexistent in the flavor. I am disappoint.